How Long Do I Have to File an Addendum to My Taxes? Can You File Taxes Late Without Penalty if the IRS Owes You Money? If you need to correct or add information after you file a tax return, you can either send the IRS an addendum to the return or prepare an amended return. If the result is additional tax owed, you can pay with the addendum or allow the IRS to bill you for overdue taxes, as well as interest and penalties. If you're owed a refund, there's an important deadline looming for your addendum. An addendum is new information you supply to the IRS concerning a tax return you already filed. In most cases, addenda solve a simple oversight by the taxpayer -- neglecting to document a deduction, for example, or to list a dependent's Social Security number. You can file the addendum on your own, in the form of a letter, and by enclosing any documents you may need to supply to the IRS. You can also prepare an addendum in response to an inquiry by the IRS. You can do this at any time; there is no official deadline other than a three-year rule for amended returns. An addendum may also take the form of Form 1040X, an amended return. The amended return is necessary if you wish to claim additional deductions or exemptions, if your filing status was incorrectly stated, if you want to claim additional tax credits or if you need to declare income that you overlooked. 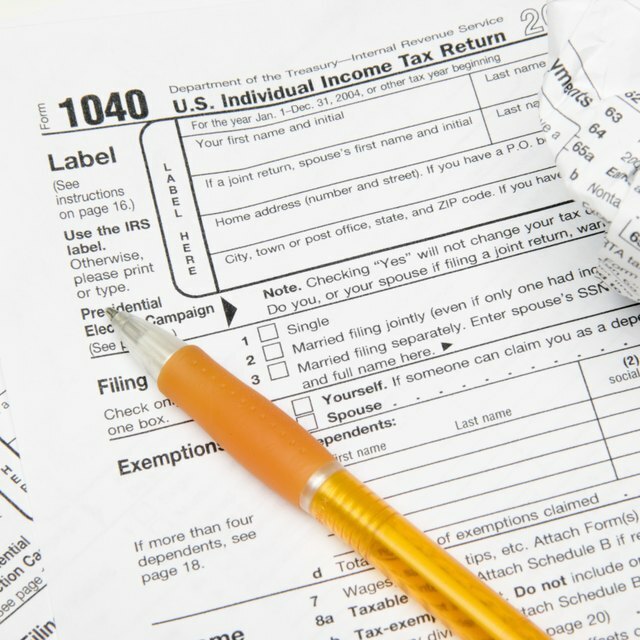 The IRS sets a deadline of three years from the original filing date for amended returns. You must file an amended return in hard copy form; you can't file it electronically. The 1040X goes to the same service center where your original return was mailed. If you did not pay your tax in full with your original return, the IRS sets a deadline of two years from the date you did pay the tax for the filing of an amended return. If your amended return results in a refund of tax, then the three-year rule applies. If you miss the three-year deadline for amended returns, you can't claim any refund. How Many Times Can You Amend a Tax Return for the Same Year? What Is My Recourse if a Tax Preparer Failed to File My Taxes? There are exceptions to the three-year rule. If you are filing an amended return based on a foreign tax credit or foreign tax deduction, the deadline is 10 years from original filing date. For an amended return based on worthless securities (for which you can claim a capital loss), the deadline is seven years. To avoid the uncertainties of an amended return, you may be tempted to simply take another stab at your original tax return and file a second one. The IRS will not process another original return, however, unless the agency requested that you prepare one.